There’s not much time left in the General Assembly’s regular session. It ends on May 18th at 5:59 p.m. This morning the House worked on education bills, voting to affirm the bill titles to keep the scope of any amendments narrow and germane to the main bills. 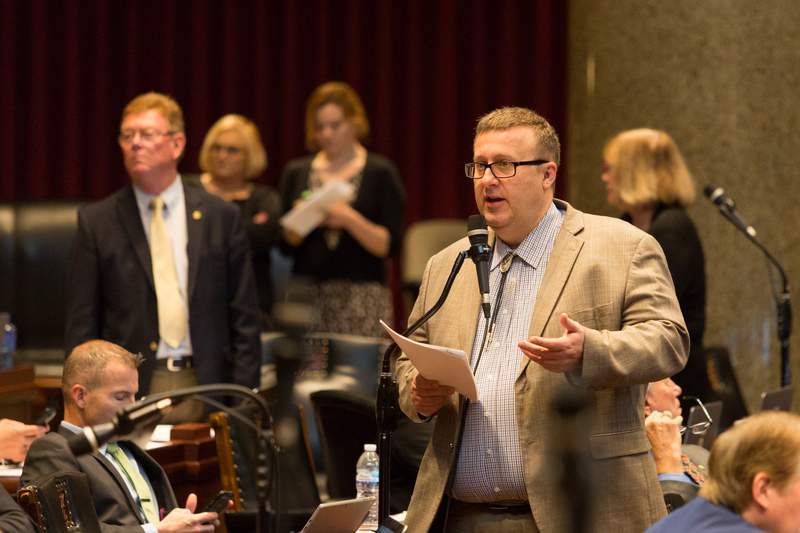 HCS SS SCS SBS 603, 576 & 899 (bills get combined and worked over in both houses of the General Assembly) on the subject of virtual education, was handled on the House floor by Representative Bryan Spencer (R). Representative Bryan Spencer (R) – May 10, 2018. After amendments and debate the House voted. The tally was close, with a number of members not yet voting. Speaker Todd Richardson (R) (second from right) – May 10, 2018. 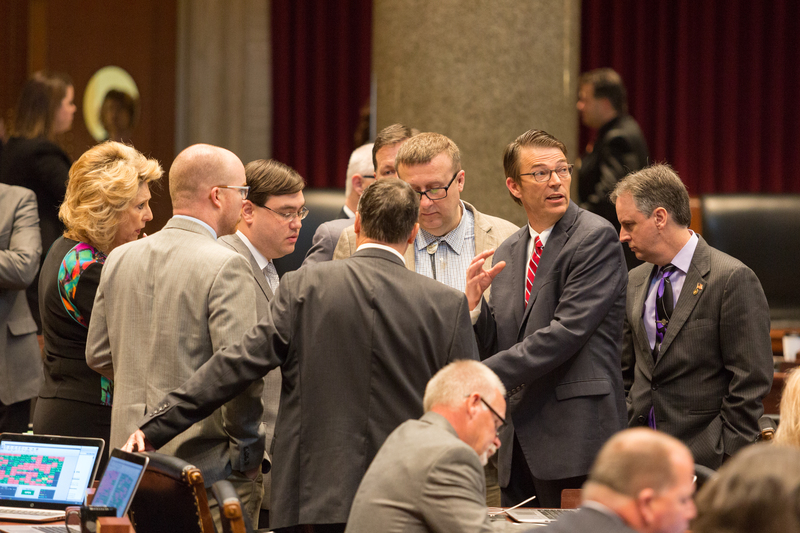 After the discussion arm twisting on the House floor the board was closed and the bill was third read and passed. 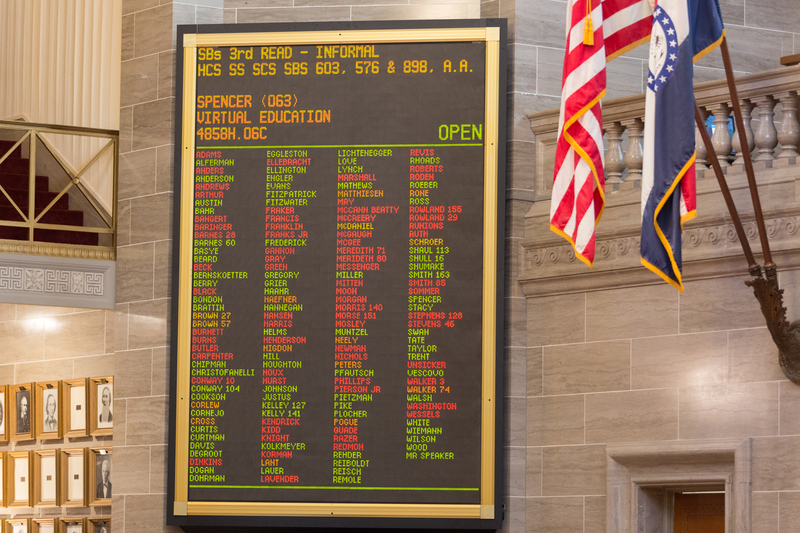 SBs 603, 576 & 898 (Virtual Education) has been third read and passed by #MOHouse by a vote of 84-66.